First state visit by top Vietnamese official to Israel and first joint economic committee since ties established 20 years ago. Israel continues its push for allies in the Far East in a landmark visit next week by Vietnamese Minister of Science and Technology Nguyen Quan, in the first visit by a Vietnamese high-ranking official since the two countries established diplomatic ties 20 years ago. Quan will lead a large delegation of senior Vietnamese government officials who will be in Israel for five days starting next Sunday, in a visit that comes as bilateral trade has reached a high of $1 billion per annum in recent years, and as both governments are discussing a free trade agreement. For the first time since joint relations were established, a joint economic committee will be held between the Vietnamese officials and their Israeli counterparts led by Economics Minister Naftali Bennett (Jewish Home). As ties with America continue to be rocky, with US President Barack Obama just recently canceling a routine rocket transfer during the Gaza operation, Israel has in recent months made ground-breaking advances in alliances with Asian countries, including Japan, China and India. During the state visit by Quan, the minister will be given a tour of the Bio-Jerusalem project, the New Generation Technology project in Nazareth, various Israeli hi-tech companies, and a gala dinner with representatives of Israeli companies active in Vietnam. 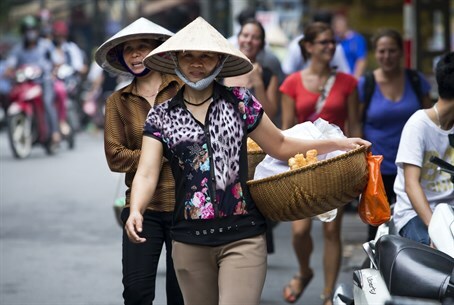 Vietnam was recently ranked 68th out of 144 countries on the World Economic Forum's Global Competitiveness Report, for its developing market and highly-educated population. In fact, the country has been dubbed the "Asian Tiger" for its projected 5.5% growth in 2014. "Vietnam has become highly attractive for small and medium-sized technology companies. The Vietnamese avoid purchasing cheaply-made technology products and are willing to pay for reliable and innovative solutions made in Israel," said Tzafrir Assaf, the Ministry of Economy Trade Attaché to Vietnam. Speaking about the goal of the visit, Assaf added "the Vietnamese economy provides Israeli companies with significant opportunities and the visit by the technology minister is aimed at leveraging these opportunities. Thus, for example, we try to connect Israeli and Vietnamese technology companies, with the help of funding by the World Bank." "In addition, (Quan as) the Ministry of Science and Technology is responsible for granting a company recognition as being 'Hi-Tech,' and this holds financial significance for Israeli companies choosing to invest in Vietnam and increase their presence in the country," concluded the attaché. Bennett also praised the visit, noting "Vietnam holds many opportunities for Israeli exporters. This summit of economic officials from both countries will pave the road for additional Israeli exporters and leverage our economic ties with this country, gaining a stronger footing in Asia and in the whole world."